Now we will look at how to draw a spider on the web step by step with a pencil, as well as a spider that makes a web. Spider – the word itself has sounded and is already a little unconscious, but there are poisonous and harmless spiders, for example, indoor spiders. I don’t touch the room spiders at all, they live their lives, they don’t contact me, and I try not to offend them. They still catch all kinds of bugs, mosquitoes in their cobwebs, and in general, they are also afraid of us, just like we do them. But the forest – they can be poisonous and look not very cute, even frightening, it is better to keep away from such people, they are wild, you never know what they have in mind, which is not in principle. We need a ruler; you can, of course, do without it. 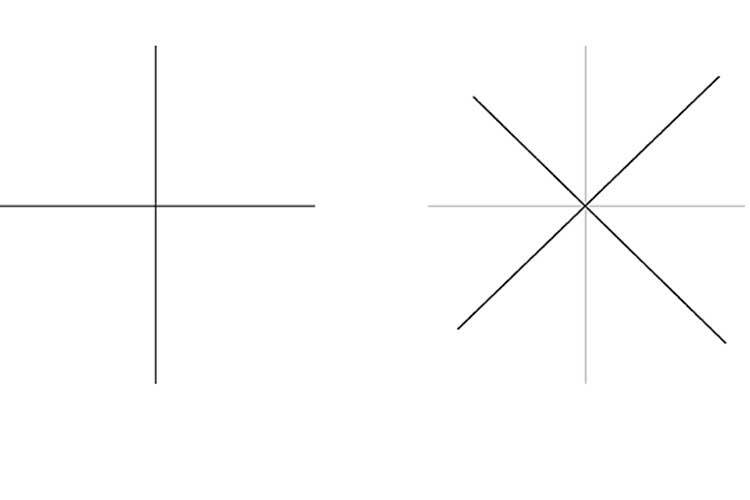 We draw two perpendicular straight lines, then we draw the same, only at an angle of 45 degrees. It will be the base that holds onto the branches, leaves, etc. Now, to catch the victim, we still have to weave the net inside. We draw from the very middle. Approximately at the same distance from the centre, there are reference points on the main lines. The connecting lines themselves are bent from sagging. 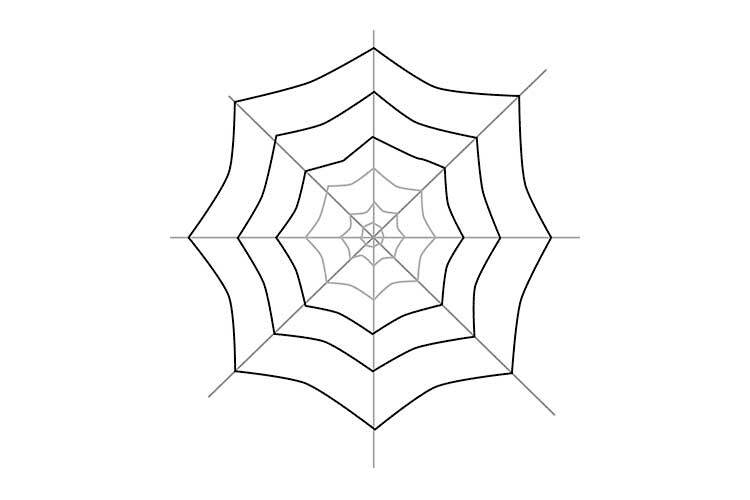 Continues to draw a web. 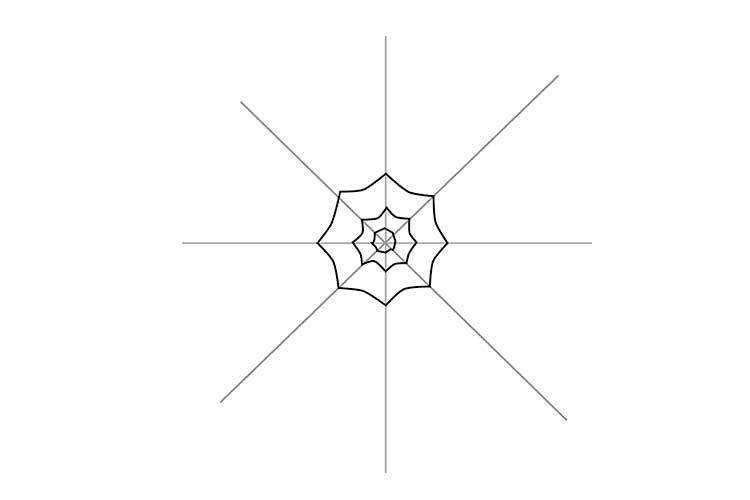 Now draw a spider on the web, you can draw it anywhere, I have it almost in the centre. 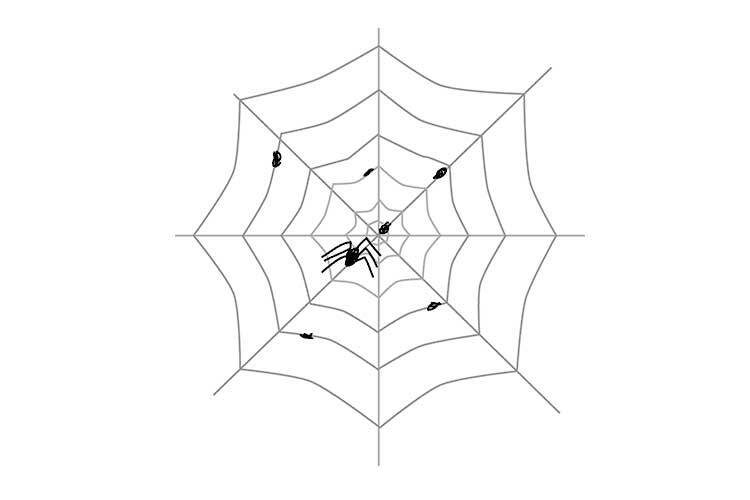 The spider itself is drawn directly – black body and legs. The little black cocoons on the web are his victims, all kinds of midges that are entangled. 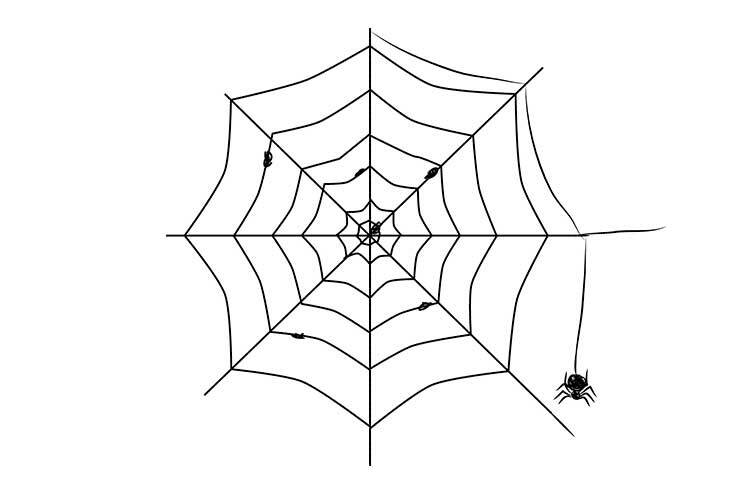 To draw a spider that weaves a web, you need to show it. We draw only a part of the connecting line; then we lower the line, we do not reach the main one and draw a hanging spider. He will have a big round belly and a small head with a bosom from which legs grow.